Liquid processing operations require equipment to fill a wide range of containers. 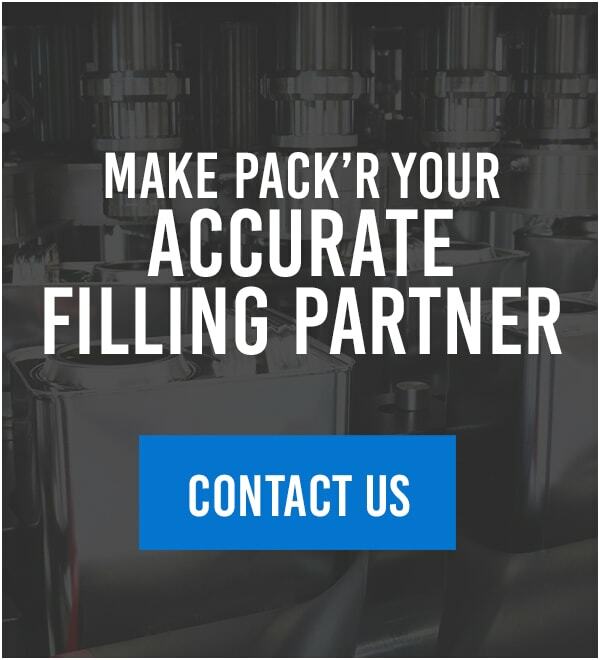 PACK’R supplies the jerrycan filler and bag-in-box container filling machine that will work with your processes. 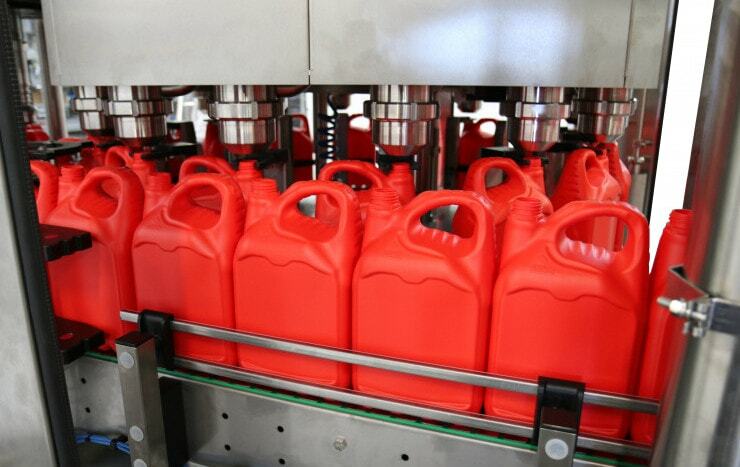 Jerrycans can be used in a wide range of industries to carry and tote liquids. Bag-in-box containers are made of plastic or metallized film that is filled with the liquid and then placed into the corrugated boxes. Whether you are processing petrochemicals that will be placed into jerrycans, or liquid foods placed into bag-in-boxes, PACK’R has the filling and capping machines for your production processes. At PACK’R, your jerrycans are no problem. From 500 milliliters to 30 liters, we manage your jerrycans with screw caps, flexspouts or push-on caps. We can design and build your jerrycan filling machine or even engineer an entire filling system to meet your container and production requirements. Jerrycans can accommodate liquid products that will not be adversely affected by the metal or plastic container. A variety of industries use jerrycans to transport their liquid products. Agrochemical, chemical, food, paint, coating, petrochemical, vegetable oil and lubricant companies require different jerrycan sizes and shapes. Our jerrycan filling system will efficiently fill containers to the desired volume with accuracy to prevent overflow so you aren’t giving away liquid products for free. Sometimes, liquid products need to be shipped in boxes yet may leak through the fiberboard or become contaminated by the cardboard container. PACK’R provides liquid filling and capping equipment solutions such as bag-in-box container filling systems. We manage your bag-in-box containers that have screw caps, flexspouts or push-on caps. These containers are often used in the food and beverage industry to provide bulk products to consumers and food service companies. The containers can also transport industrial fluids. Many companies may switch from plastic containers to bag-in-box containers to reduce plastic waste that can enter the environment. Using cardboard and corrugated fiberboard can improve a company’s carbon footprint, since the packaging can be recycled. Another advantage for companies is that less packaging is involved — making bag-in-box containers ideal for lowering shipping and transportation expenses. PACK’R is the proven leader in jerrycan and bag-in-box filling equipment. We provide a wide range of turn-key and specialized filling and capping machines to complete production processes — such as step-by-step filler capper machines, compact filler capper equipment and monobloc filler capper systems — so you can get containers filled accurately and capped for shipment. With decades of experience in the industry, our technicians provide the design and engineering knowledge to create filling and capping systems for jerrycans and bag-in-box containers. Contact us today for more information.